Come celebrate Montreal as a city of talents, of technology and innovations with entrepreneurs and investors of Défi Montréal. 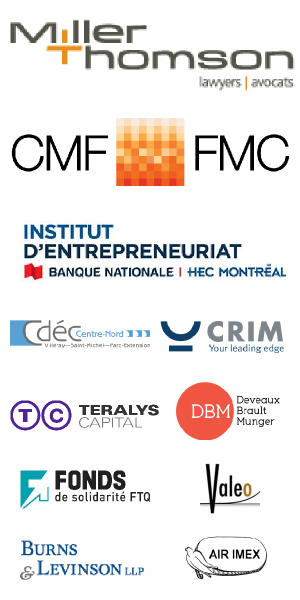 Come meet the entrepreneurs, investors and industry leaders that make up Montreal’s dynamic startup community at the Defi Montreal Final on April 24, 2014. Our keynote speaker, Senia Rapisarda, will be taking a closer look at the Canadian Venture Puzzle from the perspective of an institutional investor. Other speakers include Jeff Grammer of Rho Canada Ventures and Luc Filiatreault of OpenText Ventures. Finally, we will have pitches from the next generation of Montreal IT startups such as SweetIQ, Floop Technologies and ChallengeU.